The Big Idea: Everyday moments at home can be math learning moments. Show kids that home is full of opportunities to discover math. Give everyone at the table a few pieces of food, such as crackers or carrots. Ask each child to count the items in his pile. Did everyone get an equal, or the same, amount? If not, how many pieces do you need to subtract from each pile to make them all the same? Use small plastic cups or buckets to play around with bathwater and compare amounts. With younger kids, you might simply explore the concepts of “full” and “empty” by filling up cups and pouring them out together. Challenge older kids to predict which cup will hold the most water and which will hold the least. 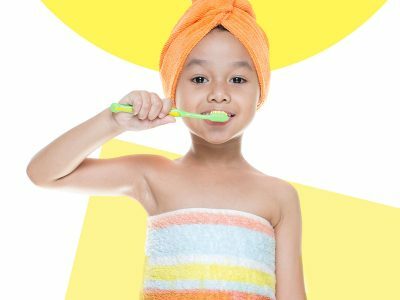 Count with kids as they wash their hands or brush their teeth. You might also bring a stopwatch or clock into the bathroom so older kids can follow along with the clock as they count. Look at picture books together to find familiar shapes. Rotate the book and point out that the shapes are still the same shapes—no matter which way the book faces. As kids lay in bed, play “I Spy” together, using words like under, over, next to, and behind. Clue each other in to what you spy by describing where an object is. You might say, “I spy something under the clock,” or “I spy something next to the bookshelf.” Take turns!